Everyday I set up a new business in my head. To me it’s so real that I would have visualized that font on the signboard to the color on the wall. When it’s all set I travel in time to see how far it goes but as always I am too romantic even with business, which makes me a bad businessman even in my imagination. I have thought about enough business ideas that would work in Bhutan to fill up a book, some very crazy and original, and many adapted from outside. The book will be published some day if I fail to translate the ideas into real businesses myself. Let them remain business secrets for now. While considering certain ideas I couldn’t help travelling back in time to see the good and bad businesses of the past. And not surprisingly you don't have to go so much in the Bhutanese past to find out because there is nothing much beyond few decades. no more. They flourished and perished without warnings. Video Cassette Shops: Every town had several Video Cassette shops that would hire a movie for Nu.20 per day. These shops used to be full of posters and the countless shelves were filled with movies from across the world. I used to wonder where they got so many movies from, but now I wonder what they did with all the cassettes. Perhaps woven bags out of the reel. If you have seen this, you have lived it! Video Halls: Those days if you had a Video Screen and a Deck you would be considered rich. Many owners found it very lucrative to turn their video set into a money making machine. Just put the video set in an empty room with any movie in it and people will rush in with Nu.10. There were video halls in every third building in any town. Music Cassette Shops: These shops were very noisy, they will play the latest Bollywood song at top volume and the setting was quite like the video cassette shops but here we can’t hire music we have to buy. Music CD Writing Shops: In the last days of Music cassettes there came a new business, the business of writing music onto a CD disk. Back then one CD could only hold 8 songs and it would cost Nu.150. This business died even before people knew it existed. Telephone Booths: Telephone booths became rampant in every town. Tiny glass booths were squeezed into many shops, and hotels. Some had electronic billing system and other would charge us as they wished. There were terms like local calls and trunk calls. Making trunk calls, calling inter-Dzongkhag, were more expensive than calling SAARC countries today. Wishing Card shops: Exam Wishing Cards, Love Cards, Valentines Cards, New Years Cards, Birthday Cards, Friendship cards,… so many different types of cards that could fill up a whole shop, and people would flood in during occasions like now you see at meat shops before the holy months. Bollywood Post Cards: Before I watched any Bollywood movie I knew most of the actors through the post cards. Post cards were a stand alone business but it was like doma, every shop sells it and every child buys it. It cost Nu.1. At the back of the card there used to be a box for pasting stamp but we used it for writing “For Get Me Not”- each word on the four corners of the box. Photo Studios: This was a big business. Photography was very expensive. A roll of film cost Nu.100. Developing the film into negative cost Nu.50 and each photo cost Nu.10. Interestingly the photo studios will give two copies of each photo, regardless of how the picture came out. We can have our photos taken in the studio too with amazing backgrounds- I bet everybody from my generation and older had such a picture taken. Do you have one such picture? Commercial Photographers: Anybody who had a camera was a businessman. The business was so lucrative that even a school boy does that. We would go requesting for certain number of reel and even the place and time. And wait for ages to get our picture, which has to come from Phuntsholing. Each picture cost Nu.10. Torch Battery: This is not a business on its own but it was one commodity that sold like salt because it was used in torch, radio, and tape-recorded. Though pencil battery still exist the big brother of our time is gone forever. Anybody from my generation could relate to these stories but if you are born in 90s perhaps this will be like a history note for you, because when you were born they were gone. Hi Passu, it's almost the same here except for the video Halls and Bollywood post cards. We used to have cinema and Hong Kong actors cards vending machines rather than those. The commercial photographer existed in Indonesia more to in year 70s and 80s, they even used a bike and went around the neighborhood to offer the service. Nice post! It brings up lots of memories from the past. Not sure if you had Laser Disc business in Bhutan too? That's one of those who survived very short. Yes yes, you and I share the same generation! Often I wish we lived in those days much, you know the excitement it was when we developed those pictures and smiled like silly cats not really having a choice but to bury those pictures somewhere! And the Video-cassettes before the TV-era were much coveted. One time my little brother spend Nu. 50 to book a room and he literally ended up paying the whole amount. This memory gets me silly these days. I think I should write a story on it. Thanks Chador, Rima, Luzee and Penlohap, see just four of you have so many stories to share that connect to those times, if people are not very miser about their comments we would get to read interesting stories from many friends but it's ok! Thank you anyway! 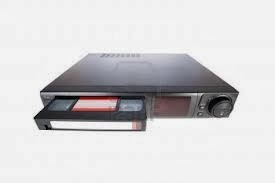 Yes Choki, we used to have a seperate gadget for rewinding mo, it comes in car shapes. New when the video 'shakes' we put new currency notes in the deck and magic happens...o those days!